Posted on May 10, 2018 Posted in Bedroom Design & Decorating, General Article	. A warm and snuggly duvet will keep you comfy throughout the hot summer nights as well as the freezing winter nights. There is no doubt that when you use the right duvet, you will sleep better. However, the choices can be confusing at times. There are several terminologies that one must understand before setting for a particular duvet. Look out for these features when selecting duvets. The outer covering of a duvet is often cotton. 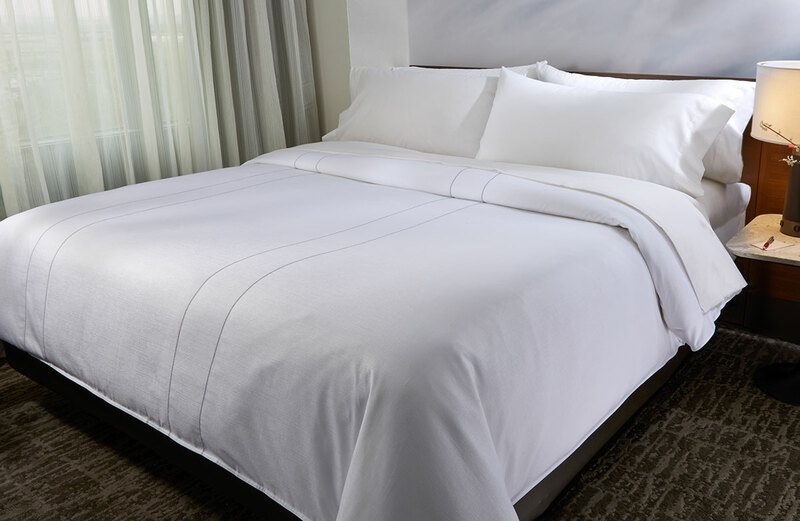 Just like in the case of cotton sheets, there is an indication of thread count, which shows the number of threads contained in every square inch of that fabric. A higher thread count implies that the material is soft. Therefore, it is a crucial factor when it comes to sheet comfort. A denser weave is better since it contains the down easily. The ideal thread count should be at least 300, but you need not pay extra for a higher number, primarily if you will use a duvet cover. You will have an assortment when it comes to types of duvet fills. Down– nothing can beat the power down with regards to breathability and lightweight warmth. If you choose to go for down filler material, look for terms such as “All down,” “Pure down” and “100% down.” If you find a duvet that is marked “Down” only, it might contain only a small percent of down while the rest is the fill material. The disadvantage of such a duvet is that feathers are not that good for insulation. In case you are allergic, get a duvet with sterilized and cleaned down. Down alternatives– In case you are highly allergic to feathers, find a duvet that has down-alternative fill. Such will include synthetic materials such as polyester, which feel like down. You can also go for duvets with wool and cotton fill. You can tell a duvet’s fill power from its packaging. Fill power is mostly the measurement of the down’s fluffiness. It indicates the amount of space taken up by an ounce of the down. High quality down will have a high fill power. The thicker a duvet is, the more insulating power it has. You can get one that has low insulating power and then you buy some pink linen bedding to complement it. The measure of down that is inside the duvet is known as its fill weight. Down that has a high fill power is likely to have a low fill weight, implying that it is warm. Considering that you need the duvet during cold and hot seasons, you may want to pick something that is in-between. Another consideration is the overall construction of a duvet. If you get one that lacks extra stitching, the down will keep shifting; resulting in pockets rather than an even fill. Some of the popular constructions include quilt stitching, baffle box, gusset and channel construction. When selecting a duvet, one ought to consider some factors such as the type of fill, fill power and construction. Remember that duvets are quite costly, so you ought to make it worth the money you spend. Consider buying a duvet cover too.